Posted byMei 16 February, 2015 12 January, 2015 Leave a comment on Mom NeedyZz Cartoon – Which One is Your Baby? 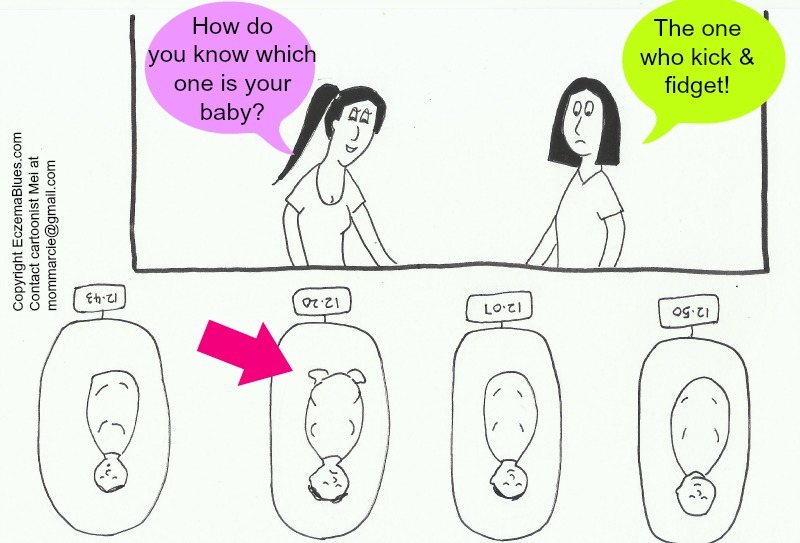 Want to know from Baby Kayla’s perspective? Does a Swaddled Eczema Baby feel HOT? And here’s what the whole nursery of babies are talking! Above 2 cartoons are from Life of Eczema Girl cartoon series, here and here.